People think that it is good to get information. But if you just have it in your head, it is only information. Sometimes, at church, we let something stir us and we get it into our hearts. That is called inspiration, but that is still not good enough. It is not until it bleeds out of your fingernails and toes that it is called incarnation. If all you have is information, you will be a Pharisee because you have the knowledge. If all you do is say, “Praise the Lord!,” that makes you a fanatic. When your faith bleeds out from your fingers, it makes you an ambassador and a disciple of Christ. It is all about image. That is exactly what Peter talks about in 1 Peter. He addresses the image of faith without the reality of faith. “… that the proof of your faith, being more precious than gold which is perishable, even though tested by fire, may be found to result in praise and glory and honor at the revelation of Jesus Christ” (1 Pet. 1:7). The proof of your faith, Peter is saying, which is more precious than gold, even though tested by fire, may be found to result in praise and glory when Jesus comes again. It is precisely at that moment that God is putting pressure on you to make your faith stronger. Trials are going to distress us if it is necessary? For what? 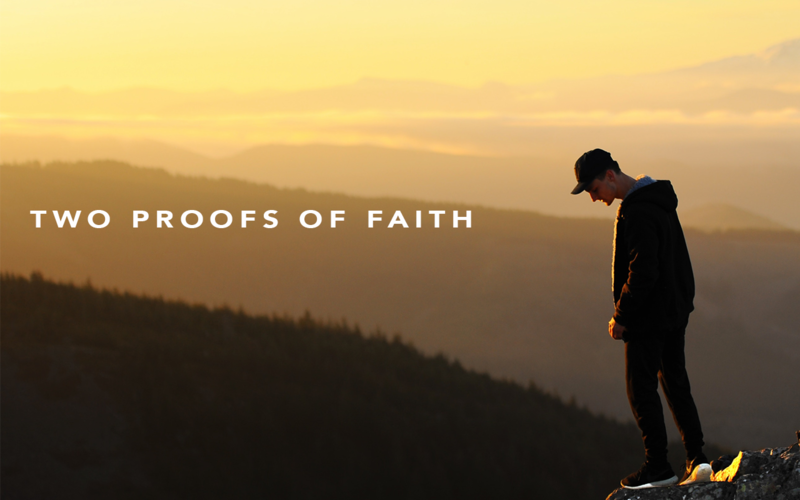 To make sure our faith is proven, tested and that we have a confidence that it will endure. “Behold, I have refined you, but not as silver; I have tested you in the furnace of affliction” (Is. 48:10). Here is what the Bible is saying: In the midst of the furnace of affliction is where God looks to see those who have developed a proven faith, so that now you graduate from the furnace. God now selects and chooses you because you were tested in the furnace of affliction and you endured it. You did well. Here is the good news — whatever you are going through, God has predetermined that you are able to handle it. So if anything touches your life, you know that God has already pre-approved it because He will not let anything happen to you that you cannot handle without His help. You know that your faith is being strengthened, bolstered, buoyed and braced up when you must see beyond what is seen. Sometimes we just see what is seen with these eyes and God is saying that your physical eyes are too limited. “… and though you have not seen Him, you love Him, and though you do not see Him now, but believe in Him, you greatly rejoice with joy inexpressible and full of glory” (1 Pet. 1:8). You know what makes us more like Jesus? It is not answers to petty questions. It is understanding the promises of God. When I catch His promises, then I know how He has been faithful from the beginning of time, not just to Wayne, but to mankind. Then His promises become much bigger than my problem. His faithfulness is so much greater than any problem we could ever encounter.